Sepia, luxury condos at Ink Block. Brand new construction in 2015. 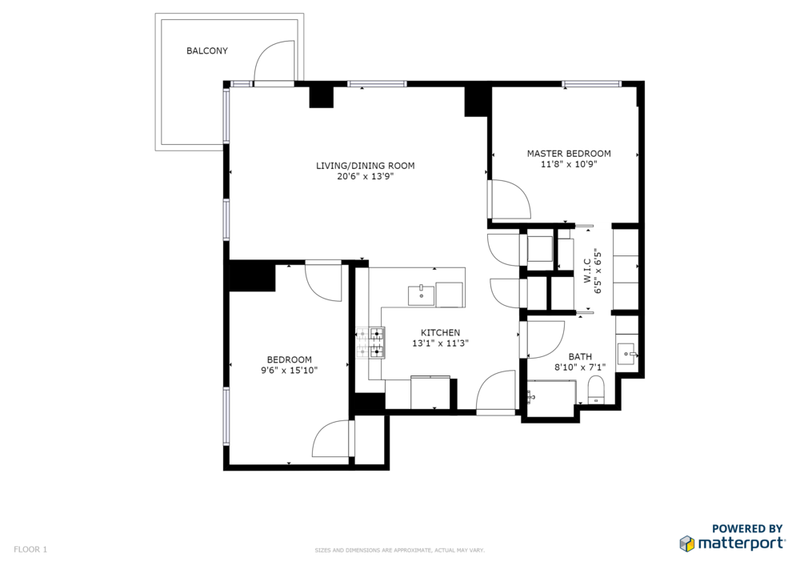 This 2BR/1BA corner home is located the 5th floor and comes with garage parking. The ultra-modern kitchen offers stainless appliances, gas cooking, high gloss white cabinets & quartz counters w/breakfast bar. Open floor plan leads you into the living/dining space surrounded by floor to ceiling windows. The master suite includes a custom walk-in closet and en-suite marble bathroom. Private balcony off the living room offers views to Back Bay. In-unit laundry & Central A/C! Sepia is a full-service residence w/ 24hr Concierge, fitness center, club-room and a spacious roof deck w/ grills and panoramic skyline views. Conveniently located near Red Line (T), 93 & 90 Highways, Whole Foods Market & core power yoga studio. Pet friendly building.